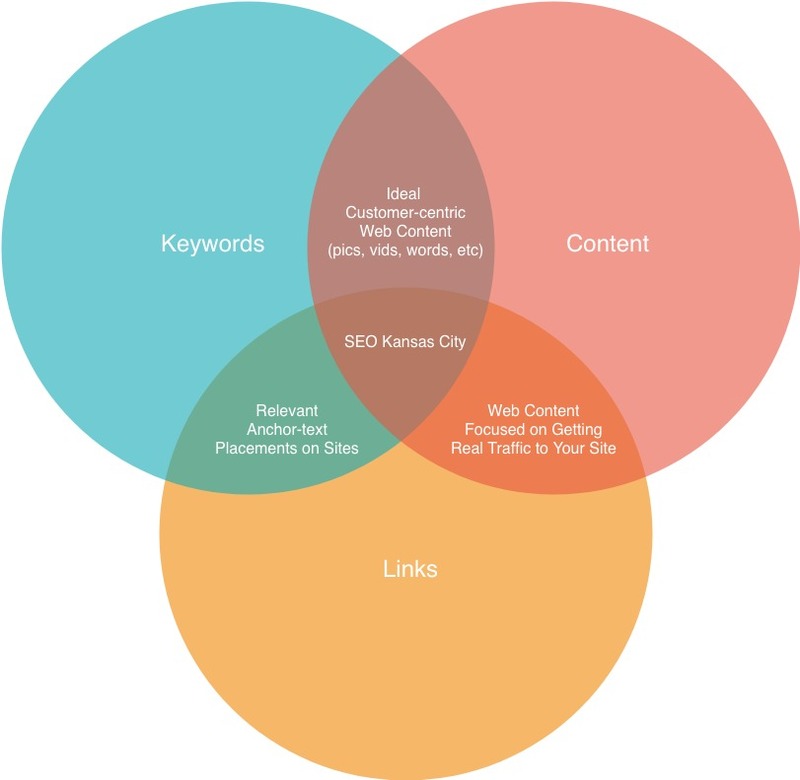 These are the types of SEO Services we offer that are performed by local Kansas City SEO Experts. Strategize a digital campaign to increase sales, and outperform your competition with a SEO Strategy. Get your website optimized for search engines so that it can passively attract people from search engines. Your SEO promotion campaign will help you to gain visibility when people are searching for your type of business in search engines. The Kansas City Metro is our domain. Experience the difference. Aiming for the right keywords is vital. Our SEO Service can help you go for the right search terms to get more customers. Optimizing your content is crucial. Many people don’t know only a few things need to be changed to see a massive benefit for you business! Onpage Optimization is a service to help your website remain compliant with search engines, and setup to convert more search traffic. The competitor research and analysis helps you gain visibility to curtail them or double-down and outrank them for all the valuable search terms! Make corrective-action, and be provided with an objective approach for measuring the progress for your SEO Project and digital campaigns. Reverse engineering how the competitors are getting their links, we can go after the same and better. Steer in the right direction with our service! SEO Service is an offering which provides you with a level-of-service to help improve you condition online so that you can become more visible to prospective customers. Depending on our type of service, an optimizer might improve your website (to become more readable to search engine crawlers) and improve your visibility outside of the site by aiming to leverage different web assets in order to give you a boost in rankings. Rather than doing the work in-house, a company can use their marketing budget in order to position themselves in the Search Market, and aim towards their future customers coming from search engines. The SEO Service helps to do that. SEO Services range in costs depending on the level-of-service. In addition, factors such as SEO Project Scope, and timeline for results play a part in terms of organizing the right team to get the results you want. Sometimes it’s like running a relay race amongst their personnel (think: “Oh, I told ___, and he was supposed to tell you that ____”). You might find an excellent, cost-efficient that way, though. At the extreme, you have companies affording millions on SEO service because obviously, they’re getting results. The services our agency charge go anywhere from $750 to $2500 in many cases, though. What percentage of sale is cost for SEO service? Depending on what is being exchanged, the amount paid for SEO (cost) and the profit margin, you could determine what the percentage of sale goes to cost for the SEO service. Agencies consider this all the time. One agency will contract services with another agency in order to provide the deliverables for a campaign/project. This is more common than you may think. What is full service SEO? Full-service SEO usually refers to the ownership of results as it applies to search engine optimization for an organization. Since there are a lot of factors involved with SEO, a full service SEO agency essentially take ownership of the result and sources all the research, content, backlinks, and reporting. Full service SEO has become more common than in the past due to the rise in ethical practices as it involves SEO. In the past, CMOs would commonly buy packages of backlinks as they would handbills, and due to the risk of more and harsher penalties handed-out by search engines, c-suite executives have been going more in the direction for having an entity own the SEO Marketing activities. Why our SEO service is the best? Our customers are local to Kansas City, and are awesome. The results we bring are awesome. Plus, you and us can meet for a drink up at Gates and call it a “business meal”.